With the support of the Big Lottery and Highlands & Islands Enterprise, Sleat Community Trust took over ownership of the Skye Ferry Filling Station on the 3rd December 2007. Following a community vote in May 2017, the shop was renamed 'Armadale Stores'. Armadale Stores is managed by the volunteer directors of Sleat Community Trading Co Ltd.
Monday to Friday 8.30am to 5.30pm, and Saturday 8.30am to 1.30pm. Post Office closed on Wednesday afternoon. The shop has been refurbished, painted and re-stocked with local produce including venison, meat, maps, books, sweets, snacks, off sales and a large range of general groceries. Petrol and diesel are also available. Since 2008 the Post Office has offered the full range of services that Royal Mail offer, as well as Post Office approved stationery. Sleat Trading successfully arranged an increase of opening hours paid for by the Post Office from 6 up to 15 per week. However, the Post Office also opens for additional hours to increase ease of community access, up to a total of 38 hours per week. Any business in Sleat involved in the tourist industry can join Visit Sleat with an entry on the website and all accompanying printed material for £120.00 per year, which includes a sum to help support the information services at Armadale Stores and at the Armadale Pier noticeboard. A community notice board for local information and forthcoming events can be found on the wall adjacent to the shop entrance. See more on the Visitor Information page here. Call 01471 844249 at least 24 hours in advance of your required taxi booking time. This allows staff plenty of time to arrange your taxi and to ensure a company is available at the required booking time. Bookings made less than 24 hours in advance will not be taken other than in exceptional circumstances. Be clear about your required taxi time, location for pick up and final destination. The customer pays 50% of the meter rate to the taxi driver for any journey within Sleat or to onward travel links in Broadford or Kyle. If the customer doesn't show up for their taxi journey, or if the taxi is cancelled with less than two hours notice (the two hours are within shop opening times; ie- if your taxi is booked for 8am on a Tuesday you would need to cancel by 3.30pm on Monday afternoon), then a charge is levied to the Trust. Please ensure that you cancel your booking in good time if you are in doubt. The Trust retains the right to claim this charge back from the customer if no timely cancellation is made. Abuse of this service or non payment of taxi fares may result in the barring of the customer from this community project. Sorry - can't be used for going to/from the pub! Sleat Community Trust provides a wireless broadband service to the following areas; Achnacloich, Aird, Drumfearn, Heaste, Ord, Tokavaig and Tarskavaig. 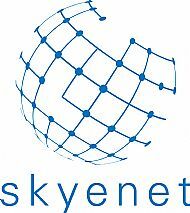 Further information on this service can be found on Skyenet's dedicated website www.skyenet.co.uk or contact us at mark@sleat.org.uk.